The Saladino Tournament was established in 1981 as a memorial to Tony Saladino Sr. to promote high school baseball in Hillsborough County during Spring Break. Three teams from South Shore are participating in the 2019 Saladino Tournament: Lennard, Riverview and East Bay. Lennard is one of four sites where preliminary rounds are being played. Other sites for first-round games are Brandon, University of Tampa and Jefferson. Pool winners and a wild cards will play at Brandon High on March 20 and 21 and for the championship at 7 p.m. on Friday, March 22. Dwight “Doc” Gooden played 16 seasons in the majors. Gooden pitched from 1984 to 1994 and from 1996 to 2000 for the New York Mets, New York Yankees, Cleveland Indians, Houston Astros, and Tampa Bay Rays. He is a Tampa native and was the first MVP of the Saladino Tournament. Last year’s champs were the King Lions coached by Jim Macaluso. The Saladino Tournament started with 11 public schools and has grown into a current 32-team event. 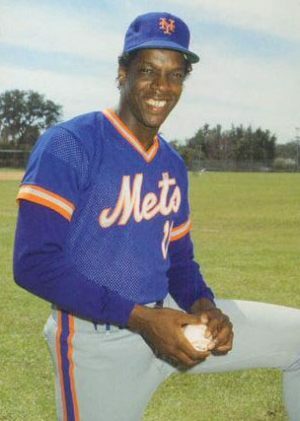 Dwight “Doc” Gooden of Hillsborough High School and a New York Mets star, was the tournament’s first most-valuable player. Since then, numerous high school players that participated in the tournament have gone on to play baseball in the major leagues. Twelve of these players were first round draft picks and countless others have played baseball in the minor leagues and/or college. A variety of baseball-related activities, such as displays, games, contests, special events, ceremonial first pitches, live singing and/or playing of the national anthem, and private hospitality are scheduled during the week to supplement the educational recreational, leisure and entertainment opportunities for the players, coaches, fans and spectators. The private hospitality trailer, next to the big tent at the Brandon High School host site, is provided for the major league scouts, college and high school coaches, the news media, school administrators and invited guests only. All gate receipts are deposited into a tournament trust fund account with the Hillsborough Education Foundation to be used for tournament-related expenses each year. All concession stand proceeds go to the individual host site, and not the tournament. Fred McGriff played for six MLB teams from 1986 to 2004. A power-hitting first baseman, he became a five-time All-Star and led both leagues in home runs in separate years. McGriff was born in Tampa and played at Jefferson High School. He first attracted the attention of the pros after hitting a long home run off of Hillsborough High School’s Dwight Gooden (at left) as scouts were watching Gooden pitch. “We also feel good about keeping our high school baseball players and some of their friends busy, close to home, out of mischief and out of trouble during their Spring Break,” remarked Tony Saladino III. Hillsborough County Public Schools Superintendent Jeff Eakins pointed out that Hillsborough County has a long and distinguished history of baseball excellence, as home to major league baseball greats Al Lopez, Wade Boggs, Tony LaRussa, Lou Piniella, Dwight Gooden, Gary Sheffield, Luis Gonzalez, Tino Martinez, Fred McGriff and Matt Joyce. 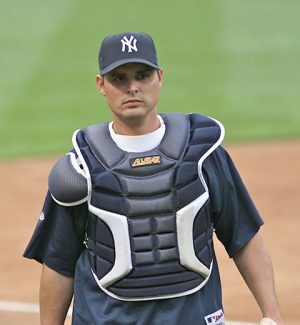 Former high school players in the Saladino Tournament also include Kevin Cash of Gaither (1996), now Tampa Bay Rays’ manager; along with about 45 others on current MLB rosters.